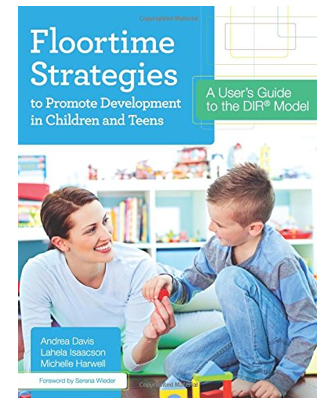 A User's Guide to the DIR Model"
The step-by-step manual to use in session for therapists and parents to apply the basics of Floortime principles and methods for advancing social skills, emotional regulation, and cognitive comprehension. The guide contains many examples of how to help children from preschool age to school-agers through adolescence get to the next developmental levels. It explains the theory and research behind each strategy. 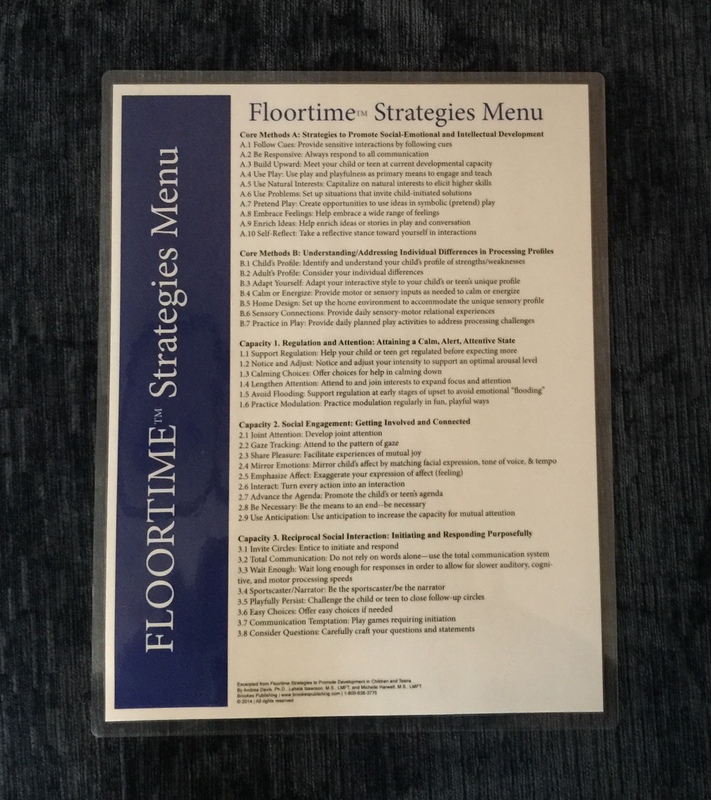 Also included is an appendix of developmental strategies for addressing problem behaviors. Sale: Free shipping and handling!